Marc started A Foundation Building Strength in February of 2008 to help his daughter Ava and all patients with Nemaline Myopathy. Marc is the CEO of Agile Physical Therapy, a company he founded in July of 2002. He is also the director of physical therapy for the Palo Alto Medical Foundation. Marc is on the advisory board for two medical device companies involving technological advances in treatment and rehabilitation of orthopedic and neurologic advances. Marc is a Board-certified Orthopedic Specialist. 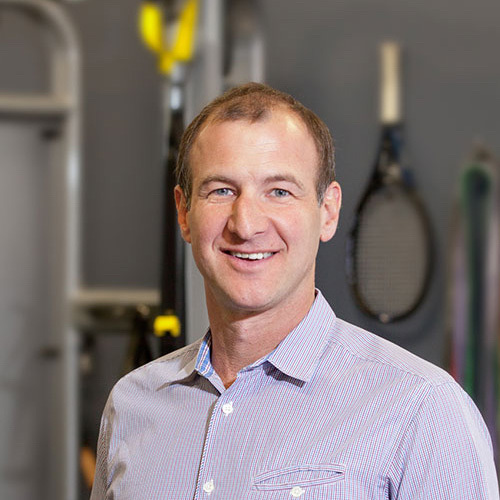 His affiliations include: American Physical Therapy Association, National Athletic Training Association, and Orthopedic and Sports Sections of the American Physical Therapy Association. He graduated from Columbia University, New York 1991.